Here is a 1930 great print capturing the Covered Wagon Trains coming west! Colors are so great. It is by famed artist F. Grayson Sayer. Beautiful. 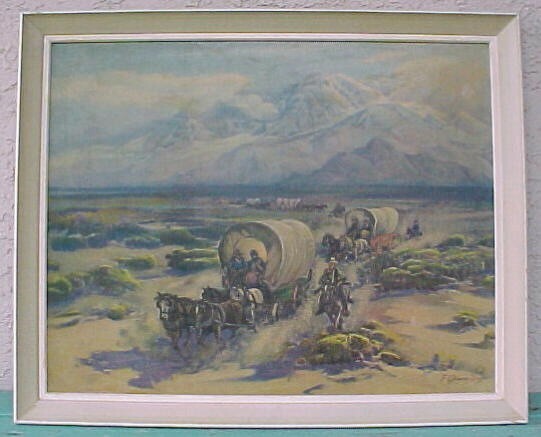 Here is a 1930 great print capturing the Covered Wagon Trains coming west! Colors are so great. It is by famed artist F. Grayson Sayer. Beautiful Please email cowboycabin@centurytel.net with questions or call 406 270-2842.